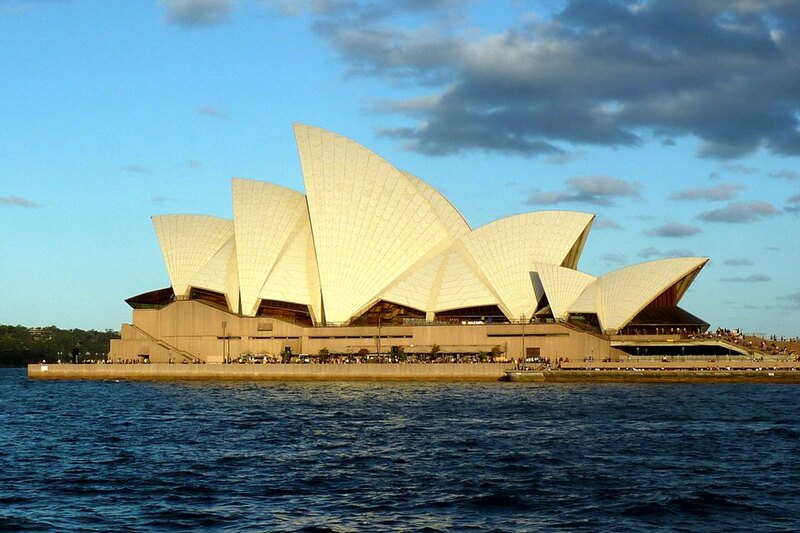 When someone mentions Sydney, or even Australia, it is the Sydney Opera House that comes to mind. This UNESCO World Heritage Site is easily one of the most iconic of structures – much like the Eiffel Tower of Paris. Perfectly situated at the end of Circular Quay and on the expansive Sydney Harbour, it defines Sydney. 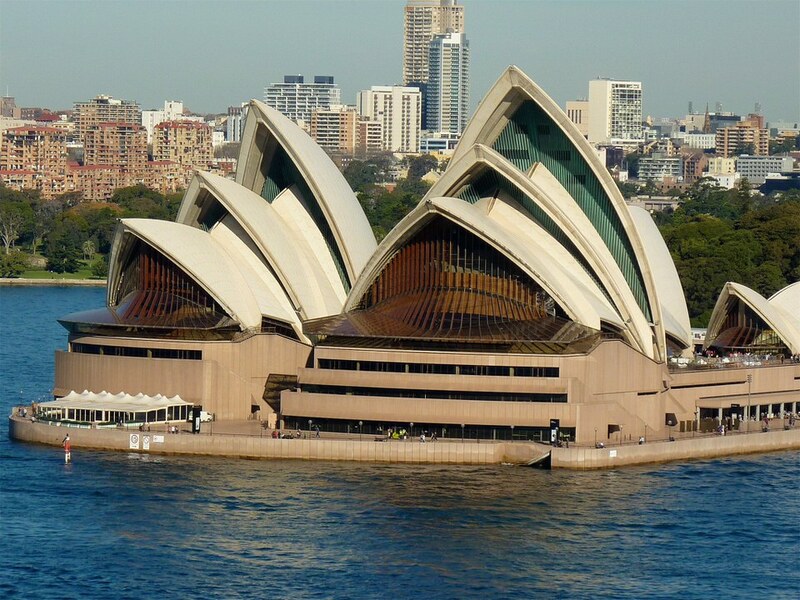 Designed by Danish architect Jørn Utzon, the facility formally opened on 20 October 1973 after years of engineering and construction woes with resulting escalating costs. For example, the technical challenge of how to construct the roof sails alone took 4 years to solve. I have been to Sydney several times and each time I am there I take pictures of the Opera House. It draws your attention by day or night. Here are a few of my favorites. 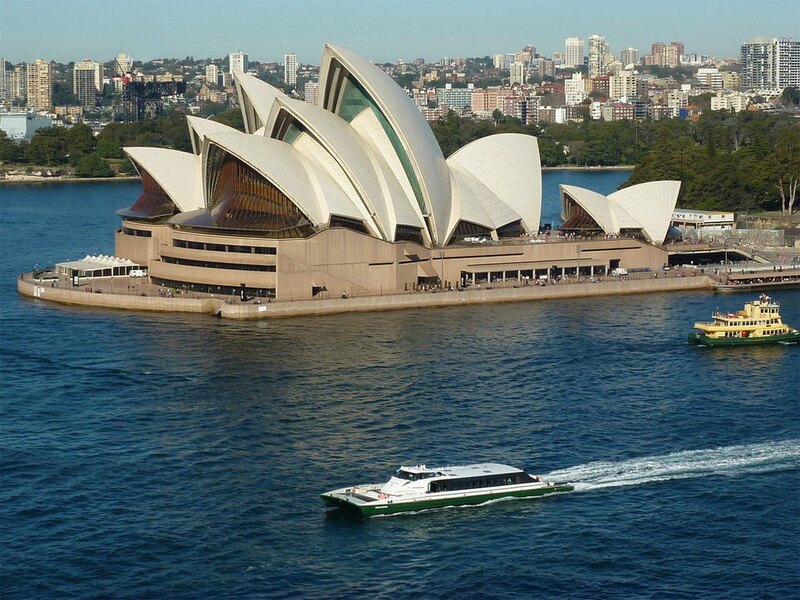 The place to be for any special event is the Circular Quay on the Sydney Harbour, with the Sydney Opera House front and center. 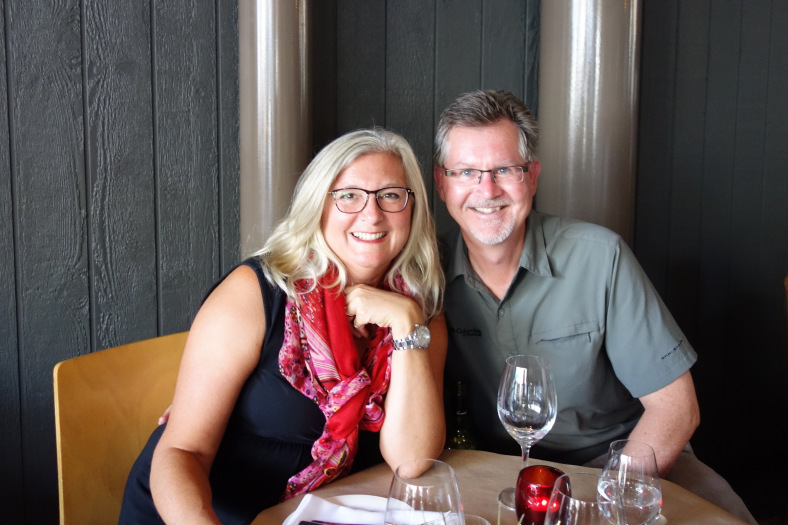 Ed and I traveled to Sydney one year to celebrate Australia Day. What a wonderful day. We wandered around the Quay enjoying the crowds. We had to wait several hours, but it was so exciting to watch the tall ships come in, the decorated yachts and small boats traveling around the harbour and planes and helicopters traveling overhead. Later, that afternoon, we attended an afternoon opera performance. Later that evening we made our way over to next door neighbor Darling Harbour to end the day watching fireworks. During the day we wandered along the city streets walking through what seemed like miles of old cars on display for the Australia Day celebrations. It really was fascinating to see these cars from bygone eras, which had been lovingly restored by proud owners. Well, that wraps up Sydney for the purposes of this website – at least for now. 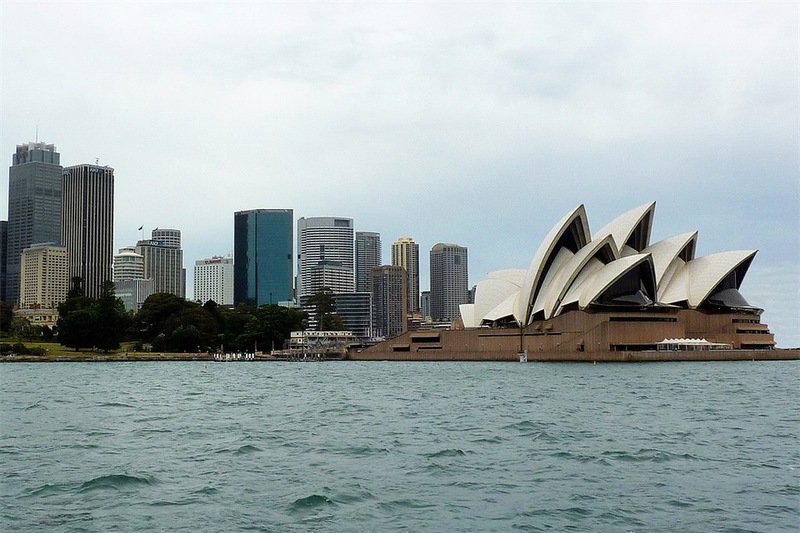 Sydney is a fascinating place to visit with so much to offer. This entry was posted in Sydney and tagged Australia Day, Darling Harbour, Luna Park, Sydney Harbour Bridge, Sydney Opera House. Bookmark the permalink.